MELD™ is the single most cutting-edge solid-state metal additive manufacturing process on the market. 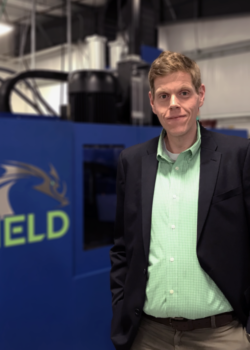 With its open-atmosphere operation and no-melt technology, MELD represents the future of additive manufacturing for large components and offers superior mechanical properties, deposition rates, and material freedom. MELD has seen global interest from government, academic, and commercial organizations across a broad spectrum of industries, including aerospace, communications, and defense. The process offers the ability to rethink material restrictions and limitations without sacrificing speed or quality. Beyond the benefits of the technology, MELD machines can be scaled up in size dramatically and are designed to be efficient and user friendly. Discovering MELD through a historical review of the development of the technology and the expansive capabilities of the process, in both terms of applications and materials possible with real-world case studies. MELD Fundamentals, a presentation answering the question “How does this work?” that will include MELD process fundamentals, design rules, material properties, material compatibility, qualification methods, and value analysis. This information will help set expectations for MELDed material performance. Strategies for Material Development, which will provide the participant with a basic understanding of the best-practice strategies for the development of the MELD process for “new” materials. As this process is compatible with all metals this portion of the training will provide key approaches for quickly identifying the required machine settings for optimal MELDing. Hands-On MELD Machine Operation allowing the to participant actively engage in every step of the MELD process, including digital print file creation, machine set-up, and MELD deposition. This portion of the training will also review safety requirements related to the operation of a MELD machine. Social Activities to be scheduled throughout the training in order to give the participant a chance to interact with their fellow classmates as well as team members from MELD Manufacturing. The curriculum is suited for technicians, engineers, and industry experts that are interested in learning more about MELD. 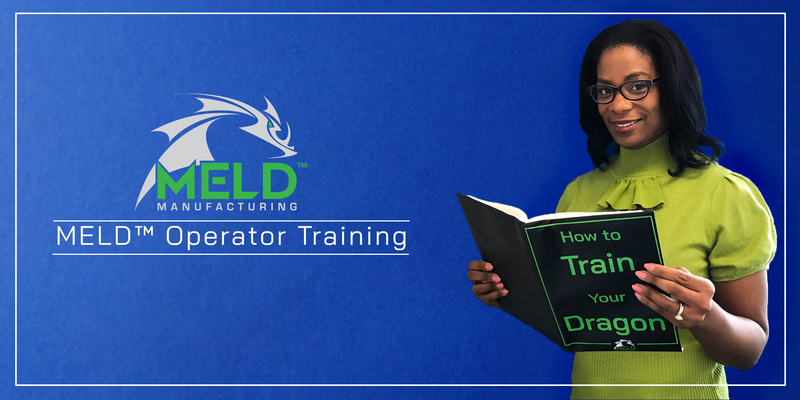 After completing the course, participants will receive a MELD Operator Certification certificate, demonstrating his/her ability to successfully and safely operate a MELD machine.